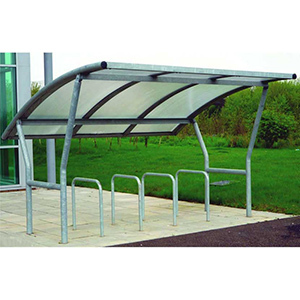 With a robust, contemporary design this all-weather Cambridge shelter is suitable for any environment and users, each bay’s frames are constructed from mild steel tube with 76mm diameter uprights. The free-standing Cambridge cycle shelter comes with either a clear polycarbonate roof designed to keep harmful UV rays out or a galvanised steel roof for extra longevity. 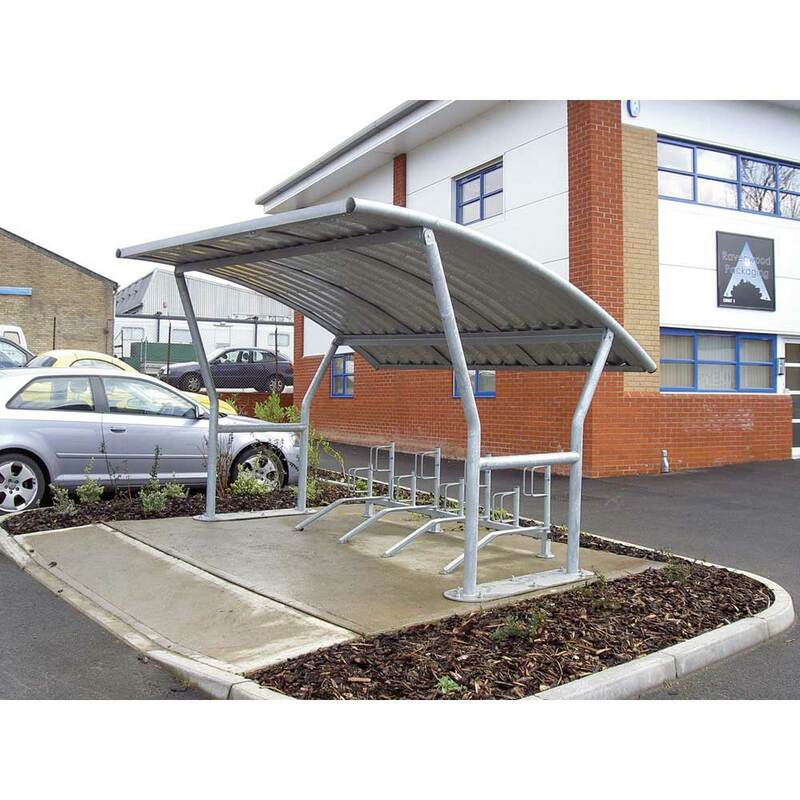 Each shelter bay, main and extension, is 2144mm high at front (1346mm at rear), 3450mm long and 2670mm wide, successfully store up to 8 bikes underneath each bay using 4 Sheffield stands (per bay) or 1 of our MULTI1R racks for 8 bikes. 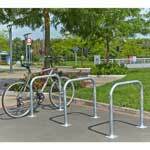 Other racks / stands can be used. 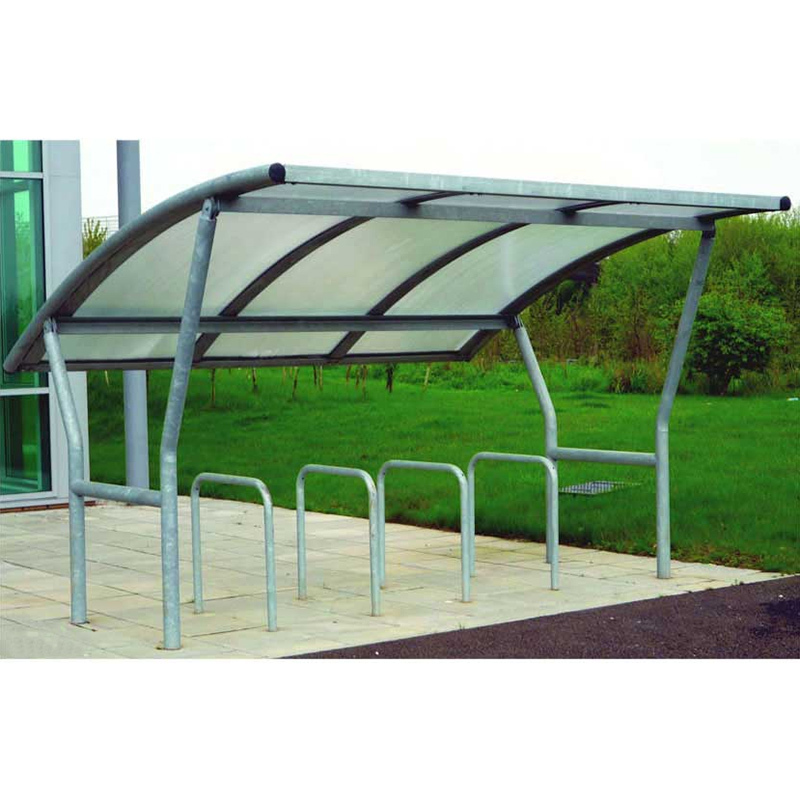 Both main and extension bays are available with flanged ends for bolting down or ragged ends for casting into concrete. 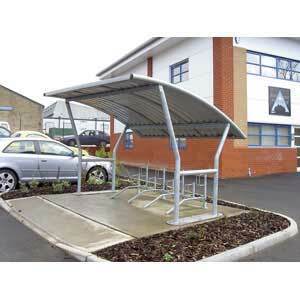 Each bay is supplied in component form for easy onsite installation. Each ragged end should be casted into a concrete base with an excavation hole of 1600mm x 500mm x 400mm deep. 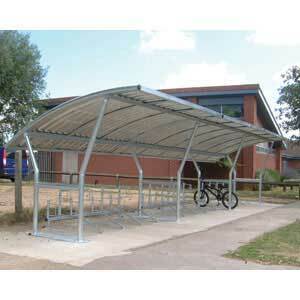 16x 16mm ground fixing bolts required per bay. 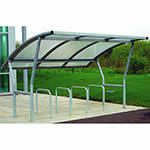 These are not included with the Cambridge shelter.